Fresh casual Mediterranean cafe. Deliciously different. We offer catering/special events, an excellent wine list, lunch specials, and nightly specials. We are open Monday through Saturday from 11 a.m. to 9 p.m. and Sunday from 11 a.m. to 8 p.m! We believe that food is a cornerstone to community. Enjoying a good meal with close friends, family and neighbors builds meaningful relationships, and we strive to help facilitate this. When our founders, Keith and Amy Richards experienced true Mediterranean dining on a trip to Greece, and experienced the power of a meaningful meal, they knew that it was worth sharing. We've crafted a menu centered around the cultures of the Mediterranean, embracing bold and interesting flavors. 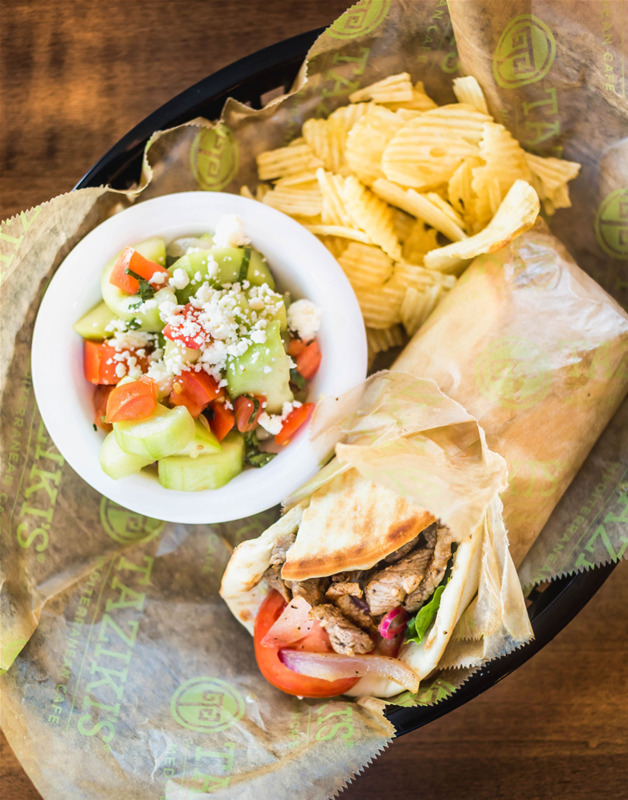 Our food is meant to draw people together and create lasting relationships and our menu emphasizes health-focused items low in fat and carbs and high in protein.